I have teamed up with TM Lewin the British business wear retailer to create a style that would be transformable from the office to the pub. TM Lewin is known for offering a professional wardrobe for both men and women, providing everything you need in one shop. I have always had a very casual approach to clothes and have never been in a job that required me to wear a suit or smart clothes only. For those of you who work in an environment where smart is the only option, when it comes to Friday night drinks you sometimes want to feel relaxed and not restricted to wearing what you wore the whole day. By styling your outfit differently or adding pieces to it, you can translate a perfect casual outfit. 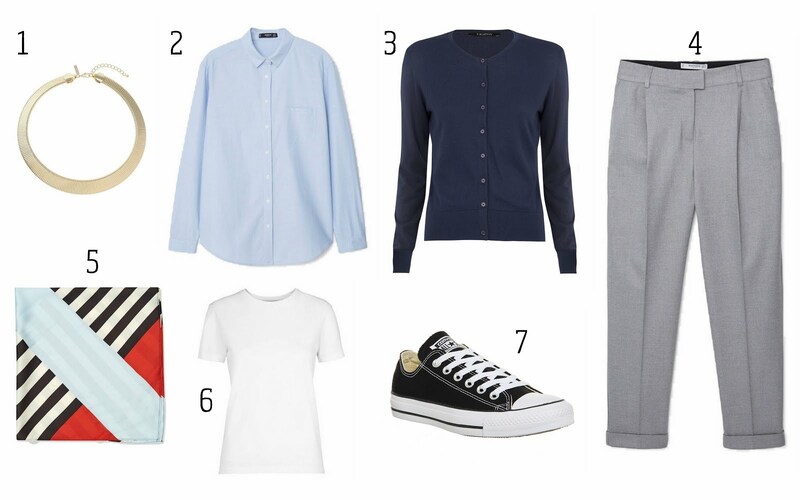 Following on from my workwear essentials post, heading out for drinks after work is easier if you were to wear one or two of the workwear essentials I mentioned, for example, the white t-shirt, trousers or button down shirt. Below are a few looks that you could create before you head out for drinks. 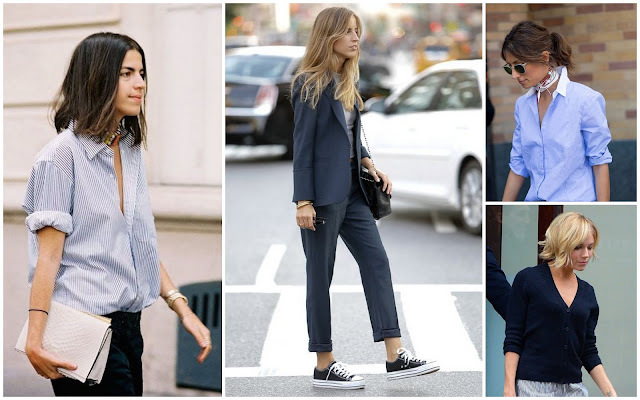 Every button-down shirt can look casual by the way you style it, roll the sleeves up and half tuck or loosely tuck the shirt out for a casual but stylish approach. Most women travel to work with trainers on, then slip into their shoes in the office. Trainers transform any outfit into a casual look. The cardigan, although usually worn over a shirt or top, instead use it as a top buttoned up and tucked into your skirt or trousers. Lastly, accessorise! Accessories are a great way to change an outfit, use the neckerchief to make your office outfit stand out (More inspiration on my previous post) or add some jewellery for a more evening look. 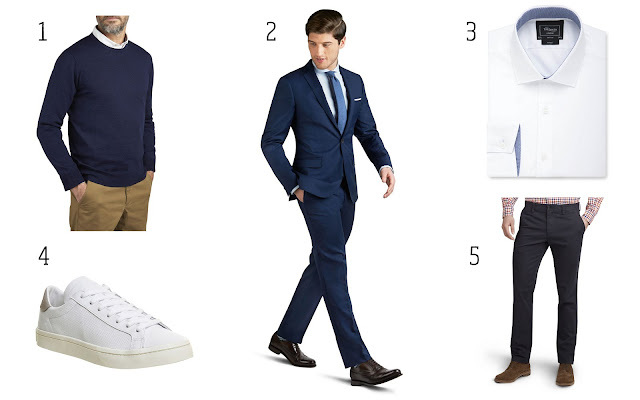 I don't usually mention menswear but have included it just for this post. 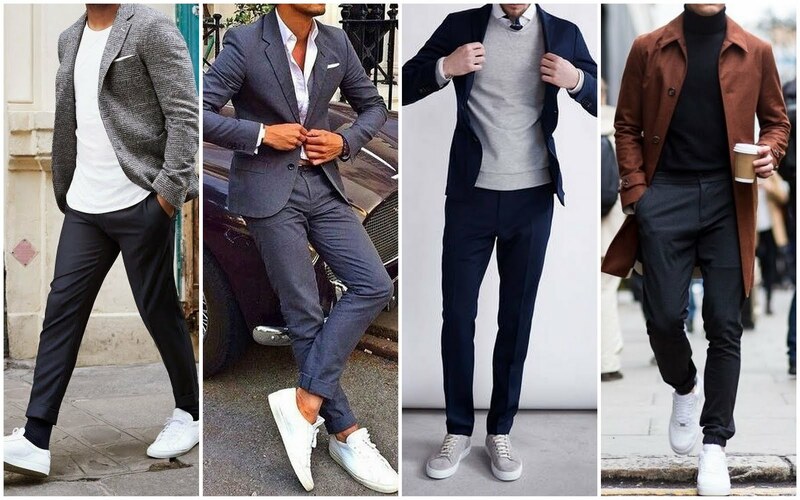 With menswear, there's not much you can do to change a suit, however, by adding a jumper and trainers can make a smart outfit casual. Trainers look great with trousers, but I know with my husband if it involves carrying them to the office he's one to leave them at home, so it's a personal choice. Roll shirt sleeves up and remove the tie for an easy alternative. Chinos are a great substitute to trousers, casual but still smarter than jeans for dress down Fridays.